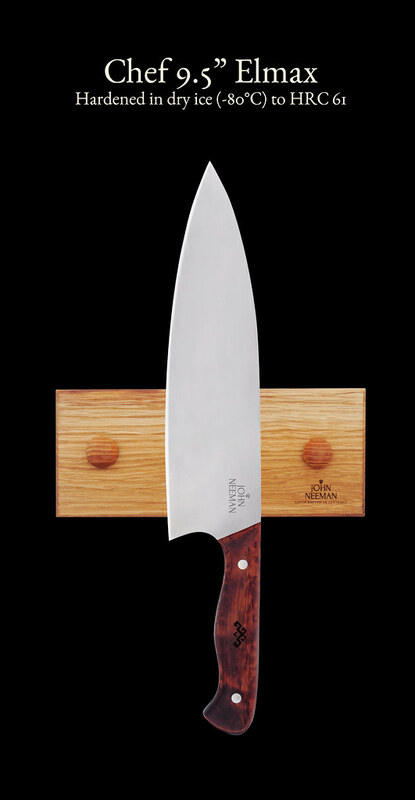 Kitchen knives are available in two different options: Japanese VG-10 Steel and Swedish Uddeholm Elmax SuperClean Steel. 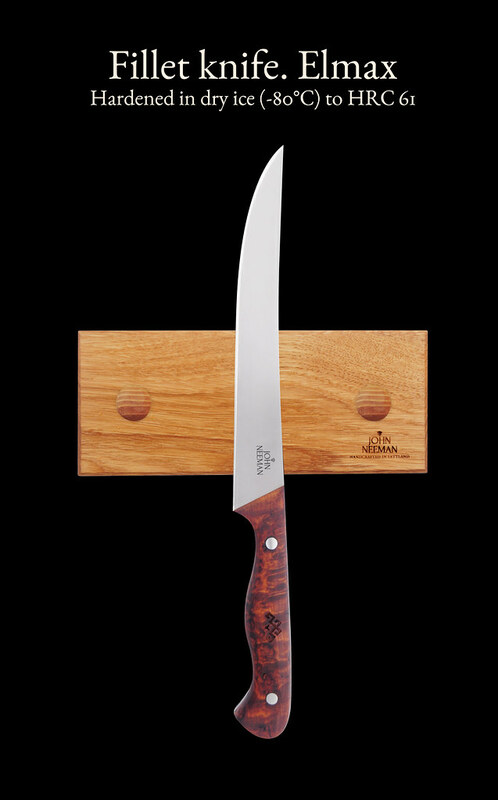 VG-10 stands for V Gold 10 ("gold" meaning quality), or sometimes V-Kin-10 (V金10号) (kin means "gold" in Japanese), and is a cutlery grade stainless steel produced in Japan. VG-10 is a stainless steel with a high carbon content. 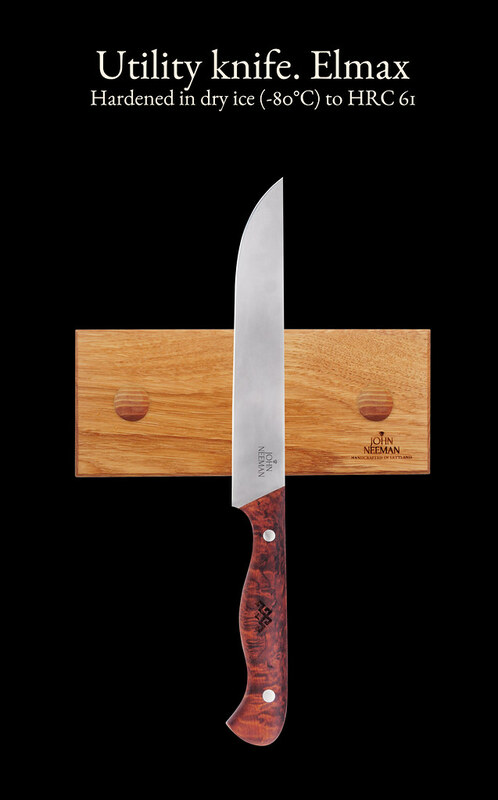 Because of how well VG10 holds an edge and its ability to withstand rust, VG10 has became the most popular steel for professional chefs and cooking enthusiasts. 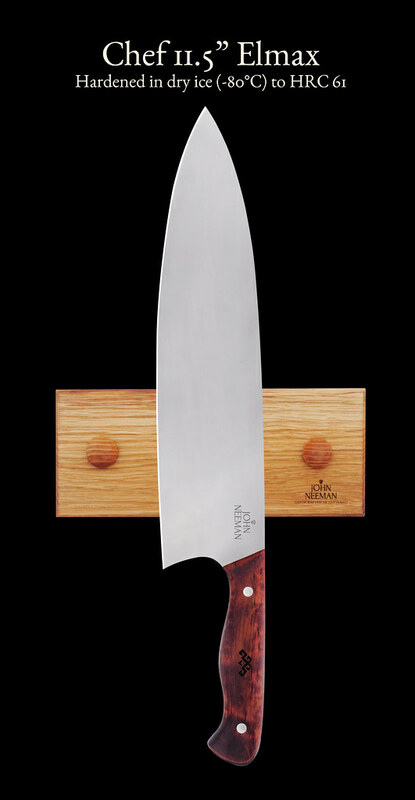 VG 10 stainless steel is also a high carbon steel, even though carbon only makes up a relatively small amount of the total material of the blade. VG 10 stainless steel is a mixture that contains roughly 1% carbon, 1% molybednum, 15% chromium, .2% vanadium and 1.5% cobalt. All of these relatively small amounts of other metals give the VG 10 steel its unusual properties, such as its ability to hold an edge, and the sheer durability of the steel in question. 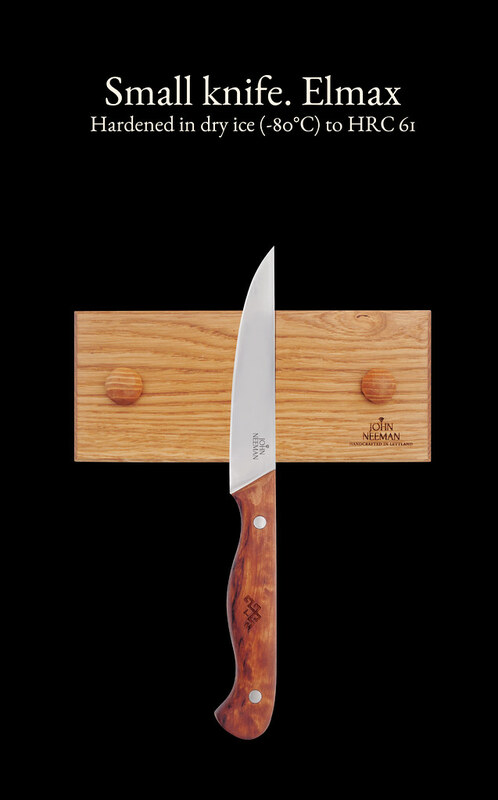 It is one reason why the VG 10 label has been so highly prized among so many people, ranging from chefs to knife collectors. According to Takefu, the Cobalt makes the substrate stronger, and the addition of Moly and Vanadium form harder carbides increasing the wear resistance and thus improving edge retention. Additionally, VG-10 has excellent corrosion resistance, making it a fantastic all-round steel. Uddeholm Elmax is a high chromium, vanadium- molybdenum - alloyed third generation powder metallurgy steel with high wear resistance, high compressive strength, corrosion resistance and very good dimensional stability. High wear resistance is normally connected to low corrosion resistance and vice versa. In Uddeholm Elmax SuperClean it has however been able to achieve this unique combination of properties by a powder-metallurgy-based production. Elmax Steel chemical compounds are as follows: Carbon 1.7%, Silicon 0.8%, Manganese 0.3%, Chromium 18.0%, Molybdenum 1.0%, Vanadium 3.0%. Although high wear and corrosion resistance are typically hard to find together in a knife blade, this steel’s powder-metallurgy based production allows for its imperviousness to wear (sideways shifting of the metal from its original position), and corrosion (gradual destruction of metals). ELMAX is produced through a hardening and corrosion resistant mold using this powder-metallurgy process, a process that Bohler-Uddenholm uses for many of their premium stainless steels. Powder metallurgy is the method of blending fine powdered materials, pressing them into the desired shape, and then heating it to sinter, or bond, the material. 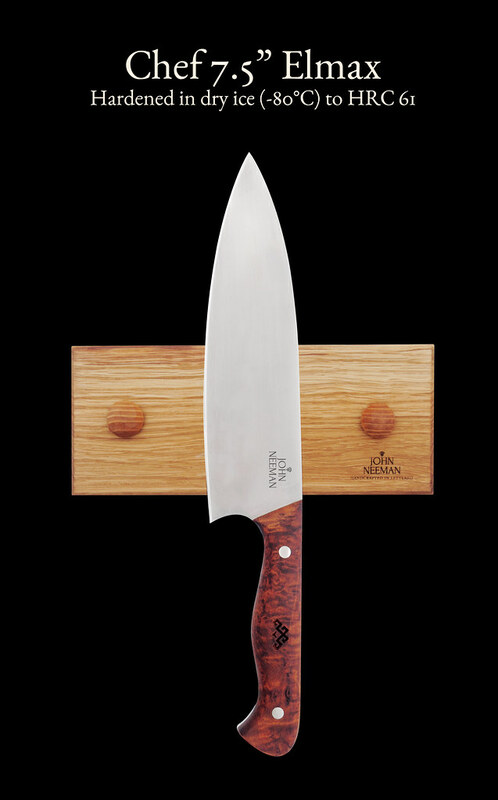 This gives the knife the desired traits of superior edge retention and an ease of sharpening, which is often the reason that people are attracted to such stainless steel knives. The steel’s “Superclean” production process combined with small sized powder and carbides guarantee trouble-free grinding and polishing. 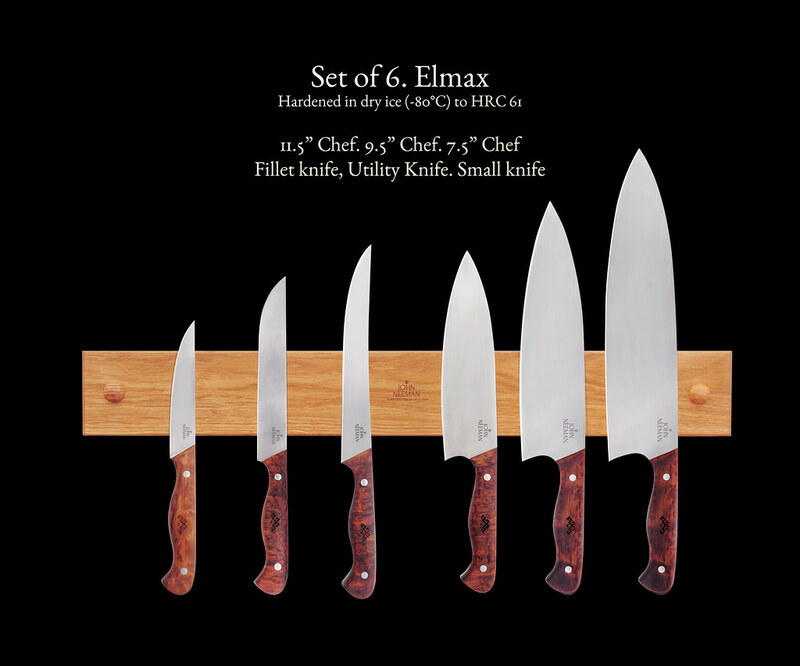 As opposed to most other steels, ELMAX is simply more convenient, as well as more all-around than other knife steels. Throughout numbers of tests, there were simply no flaws to be found. Other knives are prone to certain flaws and weaknesses, and where they might be strong in one aspect, they lack in another. Many knives are tough but hard to sharpen. Many are sharp, but prone to corrosion and rust. Others do not rust easily but make softer blades. With ELMAX, you get receive little or no such setbacks, as well as all around quality features. After the blade is forged and shaped it is grinded by hand to the smooth shape. After the grinding is done, the knife is heated in a computer controlled oven to precisely 1080°C (1976°F) and then quenched in a circulated air quench. To reach the 61 HRC hardness for the blade it was been subzero treated for 2 hours at -80°C (-112°F) in dry ice. This is also called sub zero treatment or deep cooling. The super cool temperatures transform the steel structure from austenite into martensite. Cryogenic hardening relieves some stress, raises the Rockwell hardness by 1-3 points and refines the internal grain structure of the steel. The knife is then annealed for 2 hours in a tempering oven of 220°C (428°F). 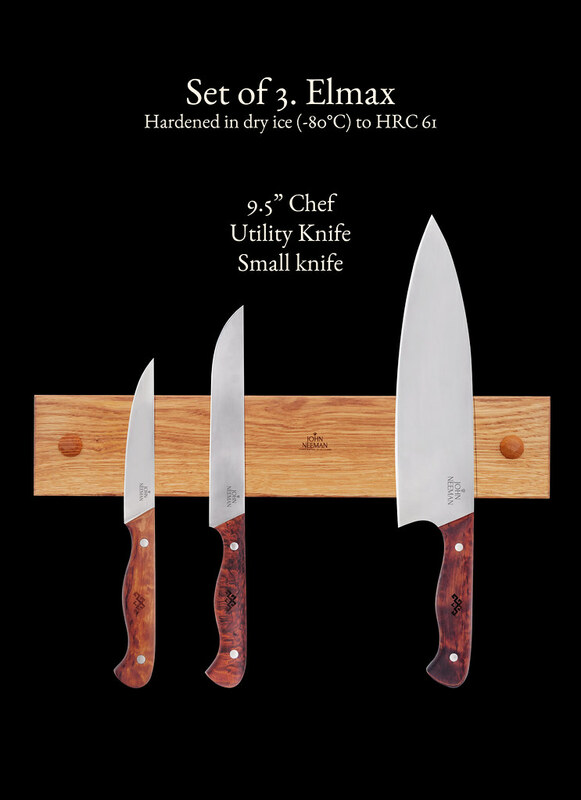 Then knife blade has now reached the hardness of HRC61 by Rockwell scale. Choose blade steel type: Swedish Steel "Elmax"Japanese Steel "VG10"